Evelyn “Evie” M. Lowry, 90, passed away peacefully on January 23 at the Willow Valley Communities, surrounded by family members. She was the wife of the late John S. Lowry. They were married for 57 years. Born in Marion, Ohio, she moved with her mother and sister as a teenager to Philadelphia and was a graduate of West Philadelphia High School. She worked in various clerical positions, including at United Engineers and Construction Co. in Philadelphia, before starting a family. 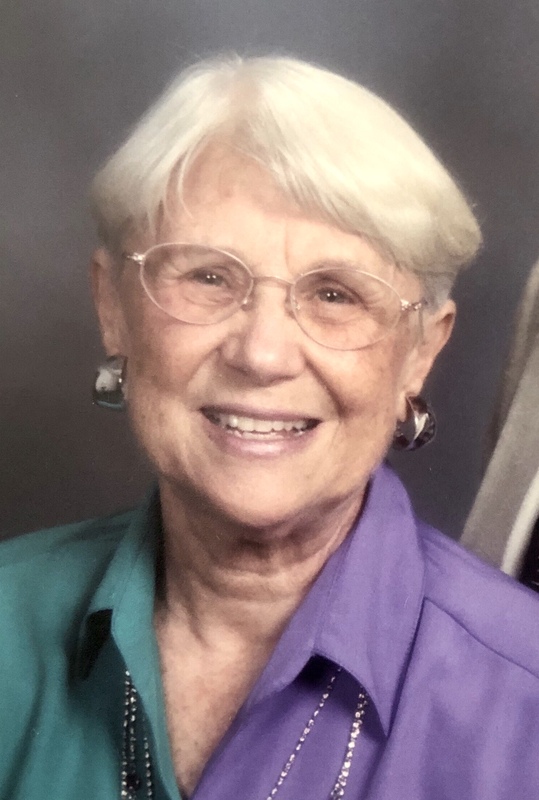 A loving wife, mother, mother-in-law, and aunt, Evie was a meticulous caretaker and decorator of her homes in Bethlehem and Camp Hill, Pennsylvania, Ocean City, N.J., and her apartment at Willow Valley. Her homes were filled with oil and watercolor paintings by her husband and son Matt. A resident of Willow Valley for 25 years, she was known as a devoted friend to so many in the retirement community and as a formidable mahjong player in a regular Monday afternoon game. She loved Maeve Binchy novels, HGTV programs, and special dinners with friends in Lancaster’s restaurants. Evie was a member of First United Methodist Church in Lancaster, where she served as a volunteer in the church office over the years. Petite, Evie possessed a giant indomitable spirit and resilience that carried her through life. Besides her husband Jack, she is preceded in death by a son, Matthew Thomas, who was an architect and lived in Philadelphia. Surviving are a son Thomas S. and daughter-in-law Bianca Lopez, of New York City; a sister- and brother-in-law Virginia and Jack Manes of Denton, Texas, and numerous nieces, nephews, grand nieces and nephews. A Memorial Service will be held at 10 a.m. on Friday, February 22 in the Johnson Auditorium at Willow Valley North, 600 Willow Valley Square, Lancaster, PA. Memorial contributions in Evie’s memory can be made to Hospice and Community Care of Lancaster County, 685 Good Drive, Lancaster, PA, 17604, https://www.hospiceandcommunitycare.org/donate/, or the Willow Valley Team Member Education Fund, 660 Willow Valley Square, Lancaster, PA, 17602. Loved reading about Evie, her life seemed like it was full of love. Sending good thoughts your way during this difficult time. Hey Tom and Bianca: She was obviously a wonderful woman because I can see it in her son. That’s the ultimate legacy. Sending you both love in these difficult times. My mom loved mahjong, too. I can still hear the games in my memory now. I loved reading about her fierce Mahjong playing and resilience in life. We need more moms like this! Share the happy memories often and keep that spirit alive. What an absolutely gorgeous picture and a beautiful tribute to your mom..
Miss seeing you and Bianca..
Dear Tom & Bianca, We will miss our conversations with your mom. She and Aunt Ginny talked a lot over the years so I know she will be missed. We have many wonderful memories of her in all the places they lived and the joyful times we had together, Candle Brook, Bethlehem, Camp Hill, Ocean City NJ and Willow Valley. You find yourself in the same Position as I, I am the last survivor of six children. Our thoughts and prayers are with you. It is an honor to have known your Mother for all of these years. She was a wonderful person who was always happy to see us all come over. From Cub scouts to high school and beyond, she was always there with a smile. I had the please of meeting your mother” Evie” at our Salon, Headquarters Family Haircare, when they moved to Willow Street Pa, she was such an inspiration and a joy to serve as her stylist, and friend,, she will be missed by many, but left a great smiling legacy to many.